I left Bowie, AZ where Hot Well Dunes is and headed to Phoenix for the night as a cold front was coming through from California. I wanted to stage in Phoenix as this storm gave snow to the Flagstaff area. 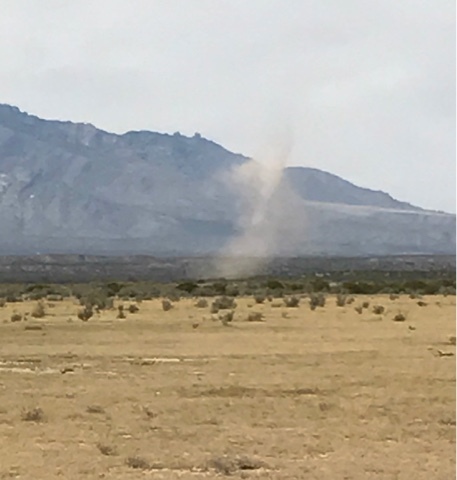 Above is a picture of a dust devil as I approached Safford, AZ. I had first thought I would go see the Arizona Diamondbacks play a spring training game on Thursday but the game with the Cubs was sold out. 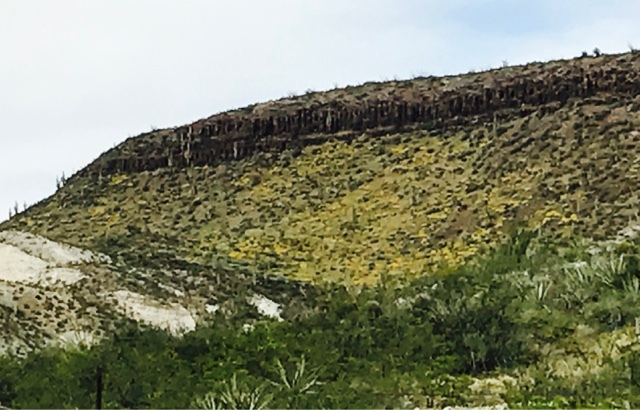 In the way to Globe, AZ I spotted this hill with yellow desert flowers starting to bloom. 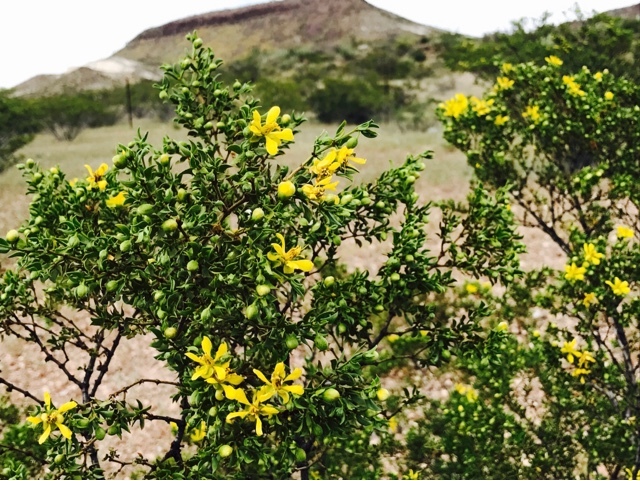 Above is an up close picture of the yellow bush in bloom. 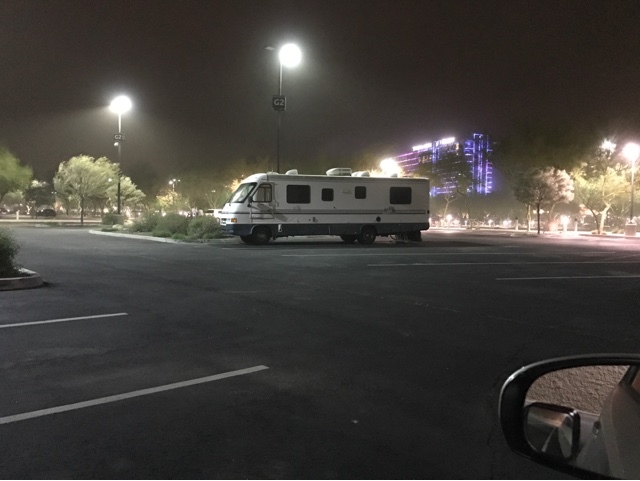 I made it to Phoenix before the cold front came through. The front brought a gust of wind with blowing dust and dirt through this parking lot as I was sitting there. It was similar to what happens when they get a Haboo here, but visibility didn't go to zero here. The wind rocked the Prius and was very stiff to vehicles on the highway.